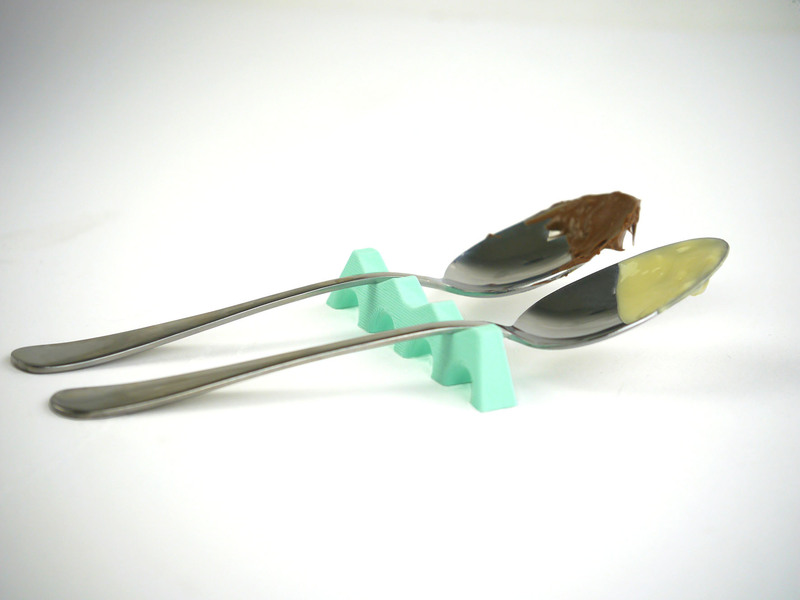 A nice and smooth model meant to rest your up to 3 spoons! Easy to print. No support material needed. Almost all of the materials are great for this but I don't recommend flexible materials! Thank you for this file. I haven't taken a photo so couldn't leave feedback. I am new to printing and this printed ok, but I had some curl at one end. I learned that it could be due to the cold draft created whenever I let my dogs in/out. (It's below zero outside today!) I also found that the back/bottom raft part can't be separated for a smoother look, so that was a bit disappointing, but still was a great model for a beginner and is something that can actually be used, which I love! Fun kitchen print. We made this in our Peppermint Cream.